I'm sure by now you've heard ... low carb "bested" low fat once again in a gold standard randomized controlled clinical trial. As usual, some weighed in even before the full article was published, but I guess this is to be expected these days. You can click on the table to enlarge if you don't want to view the blog post. Clearly a trial conducted on a group with metabolic syndrome would not be generalizable to the American population - [/sarcasm]. I don't understand why large trials such as this are conducted if they aren't going to even attempt to make them representative of the general population, or focus on a specific sub-population. You want to look at women? Then do your study in all women -- why throw 12% men in the mix when there are clear gender differences in the way metabolic parameters such as abdominal fat and HDL are concerned (to name just two). In the study they mention wanting to see how the diet impacted blacks who may have been underrepresented. Again, given as body composition was a factor, and there are some known racial differences, then do a study only in blacks. Was the distribution of race equal amongst the genders? We are not provided with that information and there is no indication that any post hoc analysis was done with subsets of subjects to control for either factor. Race factored prominently into the Discussion section of this paper. The subjects "included a substantial sample of black persons (a group underrepresented in previous trials)". Yet we can all agree that 51% would be a gross overrepresentation. I wonder why they didn't present a separate analysis for just the blacks, even if just to say that they did so and found no differences. As it turns out in this trial, unlike the LA Vet trial where special meals were prepared for live-in residents, 3 meals per day ... and unlike even the Shai trial where special labeling of meals in the workplace cafeteria was used for 5 self-selected meals per week ... there was no food prep. The participants were provided with one diet appropriate meal replacement shake/bar per for the duration of the trial (brand/source/funding unspecified). Other than that, as Teicholz would say, we have no idea what they were eating! Did they eat the fakey foods? The participants filled out two 24-hr recalls at each time point (one week/one weekend day, baseline/3/6/12mos). There is NO -- as in zero, zilch, nada -- description of the nature of the diets. ... or even account for it. "Despite clearly differentiating the diets the two groups were on, this researcher considers it problematic that one group had a modest goal, leading to a modest weight change, while the other group had a wildly ambitious goal, and eventually achieved a larger weight loss." "But did we really need yet another study to point out that comparing a wildly ambitious diet with "usual care" (30% fat) could yield generally disappointing weight loss in both groups with a slight (and temporary?) reduction in risk factors?" "Unequal effort demanded of participants on Low-Fat vs. Low-Carb brings comparison of these loosely defined terms into question, and with it the main conclusion of the paper." Exactly. Low carb works as long as you compare it with nutrient free rubbish. Is it just me or can anyone explain me how it's even possible not to achieve lousy 25g of fibre a day? Heck, I get more than that with my breakfast alone and I don't consider me to be a freak... What's wrong with these people? And WHAT are they eating normally, if they even fail during such a modest trial? I agree, even higher fat whole food diets have a substantial amount of fibre. I tend to see a few paleo-adherents post their cron-o-meter screen shots on social media. Even on higher fat and decent calorie intakes (note: the latest useful idiot who's been rabidly conflating low calorie intake with low fat whole foods advice in the comments section), and their fibre intake is almost always at least around 40-50 grams. They work in the short term which elicits the oohs and ahs. Unfortunately they don't work over the long term in most. Why didn't she choose the "standard" low carb diet then? The one from the latest Atkins book? In her video Bazzano discusses "net carbs" and how non starch veg, beans and even some whole grains were allowed which means that the carb they did consume was high in fiber. Why is the low fat group not consuming the same types of carbohydrates? I don't like getting cynical, but "more studies are needed" seems to be the preferred outcome of nutritional clinical trials. The A to Z study "was a study of how people reacted to and followed the advice of books they [were given and assigned to] read. This was not a trial that compared diets, per se." Speaking of conspiracies, perhaps the spate of junk science and LCHF propaganda being promoted in the popular press has anything to do with these two trends…? A smiled when I saw that the lower carb group had higher glucose and insulin levels. what they want to hear. In the blogosphere this has become a validation to LC followers while those that oppose it find it riddled with problems. It seems to me, from the interview you posted, that Bazzano was trying to find something people can follow, even if it's a watered down version of LC or LF. And that to me is a major challenge. When the simple thing that kept us healthy in the first place has become, due to many factors such as the pursuit of convenience, a difficult practice to follow for most people. People do not seem to want to hear that too much sitting, too much processed foods, too much HFCS, too much white flour, too much trans fats, improper cooking methods, not eating plenty of vegetables, exercising CORRECTLY, managing stress better, resting properly are part of what we need to do! "Nah, it's the saturated fat or the sugar, or the grains dairy etc." Most people want EASY answers not simple ones. The ego seems to find complex explanations easier to accept that way it does not feel challenged by being a victim of the obvious more simplistic answer. Q. Perhaps I missed it, but I haven’t seen how the latest study defines low-carb eating. Is it 60 grams a day? 150 grams a day? A. In this study, people in the low-carb group lowered their carbohydrate intake to 127 grams a day, down from roughly 240 grams. The low fat group, meanwhile, consumed 200 grams of carbs a day. Another way to think about low-carb eating is to look at the percentage of your daily calories that come from carbs and fat. Before the study, eaters in both study groups had been consuming diets that consisted of 46 percent to 50 percent carbohydrates and 33 percent to 35 percent fats. In the study, the low-carb group began eating a diet that averaged 34 percent carbs and 41 percent fat. By comparison, the low fat group ate 54 percent carbs and less than 30 percent fat. Fair question. Yes, I'm up about 35 pounds from my lowest weight, but the purpose of ketogenic diets isn't primarily about weight loss. The other health benefits this way of eating gives you from eating a low-carb, moderate protein, high-fat diet are why I consume it. As for weight, there are so many other factors involved besides your diet, including stress, hormonal imbalances, medications, sleep quality, getting older, and a whole host of other factors. I'm actively seeking out what is going on in my case, but being a former 410-pound man certainly doesn't come without consequences I'll probably have to deal with for the rest of my life. It doesn't dampen my spirits or enthusiasm about providing information that will help others in their own personal journey to better health. I can attest to what Jimmy is saying. I gained 30 pounds last year without changing a single thing. After trying to figure things out for a year, we finally had my thyroid numbers run. Turns out I have Hashimoto's Thyroiditis. I've had symptoms for 10 years but the weight gain didn't happen until 2013. We took my results to my doctor and he put me on Armour. Since going on that, I've lost over 15 pounds. Someone not knowing my situation might wonder why I talk about low carb/high fat and what value do I have to the health community. It's not about just weight and we need to quit focusing on that and remember all the other health benefits this way of eating offers. You never know what an individual is dealing with that might be affecting their weight. fully prepared to hate this show, but I thought it was not horrible. curious of what that plate breakdown. Jimmy Moore: So, what it looks like now? Tony Federico: Yes. Just so I could kind of visualize it. Jimmy Moore: Yes. So, whereas I would have the couple of eggs with a couple of slices of bacon before. Now, you’re ramping up the calories and it’s by design that you’re doing this and I’ll explain why in a minute. So, that two eggs now becomes four or five eggs, cooked in purposeful amounts of butter, so two or three tablespoons of butter. Tony Federico: So, we’re not just like doing a thin coating on the bottom of the pan. We’re getting serious with the Kerrygold. without ramping up the calories from the fat, from those kind of sources. So, then on top of that – and see, I allowed dairy. Dairy has never really bothered me, so I allow cheese on top of the eggs and then, I put sour cream on top of that. I have a whole avocado on the side of that and then, oh, yes, if I want a few more calories, I’ll throw a couple of pieces of sausage or bacon on the side of that. So, as you can see, a much larger meal than that one I used to eat, but I could eat that meal I just described, Tony, for example, and I could go easily 12-24 hours before I have to eat again, whereas the two eggs, two bacon, cooked in a little bit of oil that I used to have on my low-carb, it was by design, so I could eat something at lunch because I knew if I ate more than that for breakfast, I probably would be hungry. So that is where the under 7% SatFat comes from, NCEP, and it figures as Bazzano speaks in establishment dogmatic food memes in her writing and youtube videos. Too bad as this sat fat restriction bias is part of the dogma of CV health which is very probably wrong. So she taints her CV risk in LC vs LF study with preconceived cures. Her study would be more sound if food choices were not restricted any more than the necessary carbs in one group and fats in the other. So carbsane's suggestion is good, or even better, no named diet at all. No name LC vs no name LF. That's the ticket. Typically when you see a fall in demand it can result from two causes - a change in the price due to extraneous shocks to the curve (i.e. energy costs, drought, loss of capacity or a change in tastes or preferences - given that this fall in the consumption of meats is accompanied by a fairly large rise in price I'd say the former is the more likely causal factor. Now if the price fell along with the demand for the product a change in the tastes and preferences (In this case I believe you'd assert for health reasons would be the more likely cause. Now if I went back to eating carbs - i don't doubt out put 40 pounds back on in about 5-6 months. Investigative journalist Nina Teicholz spent nine years deeply researching the effect that fats have on our bodies. She found the unthinkable: everything we thought we knew about dietary fats is wrong. For decades, we have been told that the best possible diet involves cutting back on fat, especially saturated fat, and that if we are not getting healthier or thinner it must be because we are not trying hard enough. What if those exact foods we’ve been denying ourselves — the creamy cheeses, the sizzling steaks — are themselves the key to reversing the epidemics of obesity, diabetes, and heart disease? Teicholz will discuss how the misinformation about saturated fats took hold in the scientific community as well as the public imagination, and how recent findings dispute those beliefs. Come ask your questions about this startling new report. Nina Teicholz was a regular contributor to Gourmet magazine and has written on food for New York Magazine and Time Out New York. She has also contributed, on a variety of topics, to The New Yorker, The Economist, The Washington Post, The New York Times and Salon, among other publications. She was an on-air reporter for NPR for five years and was the associate director for the Center for Globalization and Sustainable Development at Columbia University, a think tank directed by the economist Jeff Sachs. some thyroid stuff that she was dealing with..."
Wonder what caused that thyroid stuff? "So, what we’re talking about here is real, whole food sources of fat, so things like butter and ghee and coconut oil..."
Apparently he is unfamiliar with the meaning of the term "whole food." "... but then, they’re like, 'But I’m not losing weight.' I’m like, 'Are you expecting this to be a magic pill?' It is not a magic pill for weight loss and I often joke with people. If I never lost another pound eating ketogenic, just for the brain health benefits..."
He did the Healthy At Every Size movement spiel repeatedly. I have kept off over 300 pounds for 10 years due to a low-fat vegan diet, chronic cardio and regular headstands. A bunch of people who copied me all lost 100-150 pounds and not one has regained an ounce. Now, if I went back to eating fat, I don't doubt that I would put at least 100 pounds back on in 5-6 hours. Pro tip: The use of weasel phrases (e.g. "a bunch of people) is grounds for the immediate dismissal of any anecdote as fiction. We're going to need the names of everyone in the bunch along with contact information. I'll be passing through Bullshitfordshire later this month, so I'd like to pop in on a couple of them in order to verify that they haven't regained. "a low-carbohydrate group that was encouraged to consume only 40 grams of carbs a day (the same amount in two slices of white bread, and the same amount recommended in the maintenance phase of Atkins), and a low-fat group, which was encouraged to consume less than 30 percent of their calories from fat and 55 percent from carbohydrates (based on the National Education Cholesterol Program guidelines). For ethical reasons, Bazzano chose not to include a control group in her experiment." First, key word: "encouraged" - that's all the guidance participants were given, evidently. That skews all conclusions. Second, missing key word: "calories" - this study means nothing at all unless both groups were given equal calorie levels. Otherwise all it proves is that switching from a standard diet to a low-carb diet creates a caloric deficit when you don't count calories. I see that they did track calories, but both groups started and ended at different levels. Were any of these pegged to BMI, body shape, size, weight? If not, it's just meaningless. I can attest to what Jimmy is saying. I gained 30 pounds last year without changing a single thing. After trying to figure things out for a year, we finally had my thyroid numbers run. Turns out I have Hashimoto's Thyroiditis. I've had symptoms for 10 years but the weight gain didn't happen until 2013. We took my results to my doctor and he put me on Armour. Since going on that, I've lost over 15 pounds. Some people experience constipation on low-carbohydrate and ketogenic diets and worry that it is due to a lack of fiber. If you are one of them, take heart! Fiber is not the answer! If you experience constipation on a ketogenic diet, it is not because you are eating less fiber; it is most likely because you have started eating something that you were not eating before (or a larger amount of something you didn’t eat much of before) that is hard for you to digest. In order to eat a ketogenic diet, which is a high-fat, limited protein, ultra-low-carb diet, most people find themselves turning to high amounts of foods that are notoriously difficult to digest, including nuts, low-starch vegetables such as crucifers, and full-fat dairy products [to read about dairy foods and constipation, click here].These foods just so happen to be 3 of the top 5 causes of chronic constipation, regardless of what kind of diet you choose to eat. 11. Legitimate (But Rare) Medical Issues. "The solution here however is less about eating less calories and more about solving the underlying health issue that’s preventing your body from burning as many calories as it should be." I can't tell the difference between his appearance from when he began his NK experiment and now.... all for naught it seems. A very good analysis of the study. The only downside is that you have talked Carbsane out of doing her thang. But disappointment is a fact of life, I will bear it. However, what can you do without raw data? Was it so difficult to gather? Or is it that these data are withheld? It would be instructive to see a deconstruction of a study like this, both for what is right and what is wrong, using complete data. You have done a superlative job with what is there, and there is much more detail in your analysis than I have seen so far. The failure to eat the same calories is surprising, but it seems none of the goals were met, and all the restrictions exceeded. Was alcohol use reported? That would make up some of the calorie deficit to match actual weight lost. In the beat the dead horse category, how can one assess CV risk without without knowing what was eaten? I think there might be some value in this study in the area of how unmanaged under-reported-upon cohorts behave.The study design is interesting but obviously needs some work. In your writeup you have a duplicated reference, note 6 and note 8, which is possibly in the original data. I hate to miss a reference though, perhaps from some c&p gone awry? In these notes there is some info on replacement meals but I didn't get the logic of them: Why? What's the purpose? (And when you write: "Each individual received 1 low-carb and 1 low-fat meal replacement per day." Is that correct? Perhaps the 'and' should be 'or'? The section "What you can't say based on this study:" is particularly cogent and I hope every media agent and dietary guru reads them before publishing. My hope is to see these numbers improve on the ketogenic diet. Why would I want to lie - I used to believe the opposite of what I believe now and actually argued for the thermodynamic theory of weight with nutrition majors while in school - but've seen such positive results in myself and others that I simply have to spread the good news. My favorite thing about getting people to do this diet is how other issues that people view as unrelated to diet clear up. My mother for instance saw her rheumatoid arthritis vanish (she was about to go on Humira) and a girl I know saw her eczema diminish to the point she was able to stop treating with steroids. Keep in mind they came to me telling me these things before I'd ever even heard these could be caused by diet. "If someone put a gun to my head and forced me to choose between the McDougall diet and the Atkins diet for the rest of my life, I'd probably choose the McDougall diet. Most of the people I met seem to be aging gracefully on the McDougall diet, and I still feel there are questions to be answered about the long-term health impacts of Atkins-type diets. I still have major reservations about a 100 percent vegan diet, however, particularly for children. Fortunately, no one is putting a gun to my head, so I'll stick with my starch-based diet that includes lots of nuts and a moderate amount of olive oil, butter, meat, seafood, eggs, and whole dairy." So - Stephan is NOT eating your typical paleo diet! Every notice how there are few if any long term low carbers who aren't constantly tweaking because whatever they did stopped working? There's a reason I believe, but you might just be an outlier. If your diet helps someone with arthritis, it is almost assuredly nothing to do with ketosis and because they removed something they have a sensitivity too. Metabolic improvements generally follow rapid weight loss in the newly initiated. Over the long haul your diet has no track record in populations so all we have to go on is those few who share selective information. I wish you well. Stephan Guyenet went to one ofJohn McDougall's weekend retreats and wrote about it. I only learned of McDougall recently (in comments here actually), but I as I've read more about his program and theories, I wonder why someone doesn't pit Atkins diet vs McDougall's starch based (and truly low fat) diet. Then you'd have two specific diets with precise instructions, and both focus on altering eating patterns without aiming for stress reduction or exercise interventions. Where'd you get this done and how much did it cost? Oh she never went low enough to go into ketosis - I don't think ketones are magical (apart from in epileptics - and then its just unknown why they work). I'm pretty confident it had something to do with diet though since she only lost 15-20 pounds (she was never what most people would call overweight) and told me she couldn't get out of bed the next day after she ate birthday cake on her birthday. ^likely the blood sugar induced some kind of auto-immune response. It's also not just, "those few who share selective information" since there are now dozens of studies (such as the one that you are criticizing now) that all seem to support my contentions. Then you can look at the thousands of people like me, or even Lebron James and half the NBA now who've dropped weight without hunger. Low carb is finally achieving the prominence it always deserved... finally. I don't advocate complete elimination of carbs for most people actually but for me - I love the effects and it really is the only way for someone not genetically predisposed to leanness to get a body with 6-7 percent fat while still maintaining muscle. I just dropped 24 pounds since June, 21 without hunger. My diet is averaging around 55% carbs. My new goal in life is to have calorie counting and high-carb diets gain the prominence they have always deserved. btw, my personal experience here completely *refutes* your contentions. And so does my long history with low-carb, zero-carb, paleo, etc., ad nauseum. Is it though - aren't you still reducing the carbs when you reduce the calories? Perhaps that's the whole reason for the loss on low calorie. Muscle as well - just look at the muscle losses at 12 months in the low fat group vs the muscle gain in the low carb group in this study. I can say me at 172 from low calorie - looked very different that me at 172 from low carb (I've actually been at that weight twice from 2 different diets). the low calorie one was about 1000 a day with swimming a thousand meters a day. I pretty much kept the carbs below 40g/day the whole time I was in that mindset. In the Atkins induction phase, and for a long time while we were Zero carb our carbs averaged 5-10g/day. According to MyFitnessPal I've been averaging 100g of carbs a day. So no, not reducing carbs at all. So 400 of the calories in your diet (100g *4kc per carb) come from carbs assuming they are 55% of your diet as you say that works out to 727 calories a day - a very low figure. Please, PLEASE pay attention. You're making me do math late at night and it's irritating. When I wasn't counting calories I was probably at 2300-2500 kcal a day, supporting my 240 pounds. During that time I wasn't tracking anything. I still believed in low-carb theory and often attempted it, but never successfully except for my first Atkins diet in 1998. But for a long time I kept my carbs low. We just stopped eating things with carbs. Very little bread, no sugary drinks. So even when I was gaining weight my carbs rarely went over 50g/day. Today was fairly representative, if a little higher than avg for carbs. 64% carbs, 23% fat, 13% protein. Total kcal of 1131. That's 183g of carbs. yesterday was 138g, day before 85g, day before that 132g. At best, my carb level might be *even* with my normal pre-weight-loss diet. But it's probably higher by 25-50%. So why are you arguing its calories then? It sounds like you're on a modified low carb diet. You are eating just a fraction of the calories you used to. To be clear I don't think it's the proportion of carbs that matter for fat loss but rather the total carbs. Most people who are at 100-150 carbs a day will see slow loss (if overweight) or maintenance. I'm only going to say this one more time, then I'm done. I AM EATING MORE CARBS THAN I EVER HAVE IN TWENTY YEARS. Does that make it plain enough? It's not a fraction of my previous carb level, it's DOUBLE. Yes, I'm eating lower calories. That's why I'm losing weight. But a lot of the lower calories came from cutting out fat and protein while increasing carbs. The paper, the infamous paper, thank you. Zoe's post on this study is a little wild. I posted a comment and it is now waiting moderation. "Nutritional supplements (multivitamin formula, essential oil formula, diet formula, chromium picolinate) were provided to subjects to be taken on a daily basis in divided doses." The authors of the study you are referring to used BIA to evaluate body composition changes. Unfortunately, BIA is notoriously unreliable, which is why "this study" can`t really tell us anything of substance on how the two groups fared with regard to their muscle tissue. Plus, it is well-known that protein intake is highly relevant with regard to lean mass retention on a diet (in my experience as someone who was into natural bodybuilding for about a decade, actual muscle gain only happens for "resistance training newbies" who take up weight training when they start to diet and don`t employ too drastic a caloric deficit, particularly if they have a lot of fat to lose; once one is beyond the "rank beginner" stage in the weight room and can boast a decent level of leanness (ca. 10-15% body fat), trying to gain muscle in a caloric deficit is a fool`s errand, regardless of macronutrient composition), and since the low-carb group in the study kept their (absolute) protein intake more or less constant while the low-fat group reduced it significantly, the results are hopelessly confounded, even if one were inclined to take the BIA results unduly seriously. Incidentally, I recently tried out an isocaloric VLC ketogenic diet myself (purely out of curiosity; I don`t have a weight problem or medical problems that are thought to respond to ketogenic dieting); I had to keep my carbs consistently below 20 g a day and my protein intake below 80 g a day in order to remain in nutritional ketosis (serum ketones above 0.5 mM), which I kept up for three months; at that point, I aborted my experiment, because I experienced consistent lethargy and bad sleep that showed no signs of improving. Over the three months, my weight remained more or less the same (the expected water weight changes due to emptied glycogen stores did occur, of course), while my body composition steadily worsened (as determined via skinfold measurements and hydrostatic weighing, which are decidedly more accurate than BIA). That site pisses me off! Her tagline is "nutrition science meets common sense," but how does one arrive at this nutritional ketosis idiocy through common sense? No one on Planet Earth eats this way, including the Inuit, probably because there are no naturally occurring whole foods with 80% or more of their calories from fat. The healthiest cultures eat the OPPOSITE of a ketogenic diet, with lots of grains, potatoes, and beans. "Your grandma" also wouldn't have eaten crap like "meatzas," "fat bombs," Bulletproof Coffee, or eggs with a stick of butter on the side, if you want to play that card. and i have dropped 10 pounds in the last few months by practising intuitive eating, whereby i am learning to eat to hunger signals, cravings, and satiety cues. i restrict NOTHING unless it causes me problems repeatedly. on the odd days i have tracked, i have easily hit between 300 and 600 grams of carbs. the other common denominator is that deficit equates to loss. elsewhere, you commented about 'belief' in calories. unlike the tooth fairy, the caloric equation operates whether you believe or not. CICO is the back-end, bottom-line of the equation. it is what's left after all the back-and-forth caca-de-vaca, debate over food quality, spontaneous n.e.a.t adjustment, insulin this, ghrelin that, quantity absorbed and meatbolic advantage blah blah, effing blah. bottom line…..for the day, week, month, or year....when all is said and done, was your body in energy surplus or deficit ?? "For reasons I explained in a previous post, I don’t believe a ketogenic diet was the default diet of our paleo ancestors, and therefore I don’t buy the notion that anyone who doesn’t thrive on a ketogenic diet is suffering from a metabolic defect that needs to be fixed. There’s simply no evolutionary reason we should all be genetically geared to feel fabulous on a diet that few if any of our ancestors consumed. But I also don’t buy the argument that since our paleo ancestors didn’t live on ketogenic diets, a ketogenic diet must automatically be ineffective or even dangerous. Our paleo ancestors didn’t drink whey protein shakes either, but those shakes are certainly beneficial for people who lift weights to build muscle. A ketogenic diet, like a diet supplemented with whey protein, is intended to be therapeutic – i.e., it’s supposed to help you accomplish a particular goal. Obviously, one of those goals is weight loss. That was the main motivation for Jimmy to adopt a ketogenic diet, and considering that he lost 80 pounds in a year, I’d say it’s working. I also suspect that most people who buy Keto Clarity are interested in weight loss. And the scientific literature shows that ketogenic diets are indeed a good tool for weight loss – not for everyone, of course, but for many, many people." As far as metabolically the low-fat dieters were probably using less protein since they don't need to engage in as much gluconeogenesis to maintain blood glucose so I'm not sure your argument holds water. I do like how the recurrent argument against all 24 (now) of the studies that have pitted low carb diets vs. some version of the low fat diet (most show favorable outcomes for low carb) is that they some how mis-measured or were biased.This of course completely fails to see that most of the people doing these studies were either firm believers in the thermodynamic theory of weight loss or agnostic. I'd say you are all missing the forest for the trees on a truly epic scale. My point is - you don't know whether its a total reduction in calories that drives weight loss or a reduction in just one (maybe you didn't need to reduce the others). That's why good science always tries to eliminate variables wherever possible. Since I've lost weight keeping calories higher and shifting macronutrient content - I'm of the inclination that carbs are the primary cause of fat loss. Don't get me wrong though, I think a low fat, low calorie diet is a great way to lose muscle and other essential tissue. If low carb didn't work for 20 years, why did you keep doing it? there's no discernible ketone difference in someone who fasts for a week vs. someone who eats all fat. is not entirely correct, although it is possible that change of diet eliminated an causative or supportive agent for arthritis, however there exists a large body of research clearly showing that ketogenic diet through number of mechanisms (including ketone bodies) significantly ameliorates inflammation. Arthritis is a inflammatory disease. There is NO EVIDENCE AT ALL of any SOCIETY in ALL of recorded history that ate a diet that kept them in ketosis all of the time!! NONE!! Ketosis is meant to be a survival mechanism for times of food shortages. I never claimed - nor does anyone else that people were always in ketosis all of the time. Just most of the time - like the plains indians or the inuits or any other culture that had to endure long hard winters prior to agriculture. Even I throw myself out of ketosis about once a month. You people are so funny. Wolves and dogs are omnivores (supposedly) like us too - yet I rarely see a wolf eating its veggies - though I do note that our dogs (still able to breed with wolves and thus genetically almost identical) today suffer from the same health problems we do all while eating their balanced foods. Funny - I never see fat wolves. Though I was watching a documentary talking about how there are fat, sedentary raccoons now - also omnivores - though in the wild they eat almost all meat and crawfish. It's like there are signs everywhere we look - provided we keep an open mind. Because I had bought into the theory. I believed Taubes. I was mystified as to why it stopped working. I'm curious. We've told you that most of us participating in the comments on this blog are former low-carbers. And yet you continue to talk to us as if we've never heard of these studies, never heard of these concepts. As if we have no clue about low-carb dogma. As if we've never been in the low-carb lifestyle. Why is that? Why do you talk to us like that? First off, I am rather sceptical of your claim of substantial fat loss and concurrent muscle gain, as substantial fat loss does require quite a drastic caloric deficit, in my experience, and because the highest-category evidence - ie metabolic ward studies - so far unanimously supports the thermodynamic model of body mass flux. So - if you want to support your claim that thermodynamics do not govern body mass flux in a credible manner, show me the metabolic ward study that demonstrates this. The body composition data provided by the study is so methodologically unreliable that it is ultimately impossible to determine whose "argument holds water," - which is the main point I was trying to make - but based on general observations, your gluconeogenesis reaoning is rather feeble, as (according to the reported data) the LC group ate 127 grams of carbs daily at the one year point, which should cover the daily needs of the exclusively glucose-reliant bodily tissues in the obese, likely largely sedentary and "fat-adapted" study subjects; after all, remaining in nutritional ketosis, whose primary function from an evolutionary standpoint is protein sparing, usually requires substantially less than 100 grams of daily carbs for a reason. Thus, it is likely that absolute protein intake and "available net protein" are largely identical in the LC group. In short, this study is a perfect example of the adage "garbage in, garbage out," as even some of the more non-partisan low-carb/paleo proponents recognize; Denise Minger, who isn`t known to pull any punches as far as the low-fat/plant-based camp is concerned (just look at her China Study critique), calls it "the kind of shoddy research we should be ripping to shreds". Yes, most of the available LC vs LF studies are indeed methodologically flawed (as they fail to control for protein intake, for example), as far as I can see - the persuasion of their authors seems irrelevant to me, as it has no bearing in and of itself on whether or not the research is methodologically sound. All in all, the currently available data are simply too ambiguous to draw any firm conclusions either way, though both the LC and LF camps tend to interpret it in a way that manages to bolster their respective preconceived notions (if LF had had the better results in this study,the LCers would now be the ones harping on about the exact same methodological flaws the LF camp is currently busy critizising, as Carbsane`s Teicholz reference illustrates). Interestingly, some of the most revered LC iconoclasts appear to recognize this, as the shoddy state of nutriton research appears to be the "Nutrition Science Initiative`s" raison d`etre: Gary Taubes lamented in a 2014 New York Times article ("Why Nutrition Is So Confusing") that the "evidence doesn`t exist to say unequivocally who`s wrong," and that "the only relevant fact on which relatively unambiguous data exist to support a consensus is that most of us are surely eating too much of something," thus tacitly acknowledging that his alternative proposal to "the thermodynamic theory of weight loss," as you call it, remains a hypothesis not substantiated by sufficient solid evidence to justify a paradigm shift. His proposed solution: Better research (hence NuSI). You are the one who "completely fails to see" something that several pillars of the LC community apparently recognize - namely, that all the various and sundry factions in the presently raging "diet wars" are currently "missing the forest for the trees on a truly epic scale". You seem to imply that all of us in the asylum are merely wasting our time nitpicking, and that our scepticism would vanish if we could only be convinced to give LC a try and experience its wondrous effects for ourselves. Just in case this impression is correct, let me assure you that I have conducted numerous n=1 experiments that involved extensive macronutrient tweaking in order to close in on what works best for me, which allows me to say with confidence that LC doesn`t fit the bill for me personally. Apropos "wondrous effects": It bears mentioning that even if one takes the available data at face value, the observed results of longer-term dietary interventions, be it LC or LF, are overall rather modest: Things mostly boil down to a couple of kilos lost (usually less than 10 % BW) and slightly less horrific metabolic parameters after a year, which is quite different from the slew of anecdotes along the lines of yours raving about scores of pounds lost effortlessly without eating less while having endless energy and developing a fitness model physique with five minutes of exercise a day both the LC and LF camps love to rub everybody`s nose in. The result of me having drastically cut my carbohydrate intake for three months (from 400 g to less than 20 g a day, as previously mentioned) in order to sustain NK was fat gain, not loss - doesn`t quite jibe with your "inclination that carbs are the primary cause of fat loss," does it? Again - show us the metabolic ward studies. They had locally grown corn and winter squash as well as European grain stores that they brought with them. Even so, over the first winter, 50% of the Plymouth Colony died. At least two supply ships arrived between the Mayflower and the Anna bringing grain, alcohol, sugar, salt and livestock. Since much of the indigenous population had been wiped out by a viral hepatitis epidemic in the two years prior to the arrival of the colonists, there were grain stores in empty villages and cleared fields ready for the following year's crop. Fruit and vegetables were dried and salted for winter consumption in subsequent years. I doubt that they spent much time at all in ketosis from a diet of fish, game, shellfish and grain. Scurvy, yes, ketosis, no. Kerrygold butter didn't hit the supermarkets until a few years later. The plains indians engaged in some agriculture and traded for agricultural products grown elsewhere on the continent. Fruits and vegetables were dried and stored. There is a really good, popular anthropology book called "1491” which presents a lot of the latest anthropologic findings of the New World and will take you beyond the stereotypes that you learned in elementary school. Me too. I tried the high fat, low carb diet for a couple of months. I gained a few pounds and felt ravenously hungry most of the time. My favourite omnivore is the urban rat, eats more or less what we eat as anyone in the food industry will tell you. Seen a few butch ones but none that could be deemed obese. LOL - cool. I had forgotten about that! "One scientific study in 2010 found that feral rats collected near Baltimore had grown heavier over time. According to conventional wisdom, “wild” animals do not get fat. But is that truism breaking down for the commensal animals—like pizza-scarfing squirrels—that live in and around our fat- and sugar-laden “toxic” food environment? Has the obesity epidemic escaped from captivity? Is the Age of Fat Pigeons nigh?" I've never heard of the plains indians engaging in agriculture - in fact that's ludicrous - nomads can't engage in agriculture - why don't you try to survive a winter in the south dakota on the things you've gathered and dried. Man I could educate you guys all day. Read 1491. Or any other modern anthropologic study. Your ideas about "paleolithic" diet and the pre-Columbian Americas are sadly dated. "Authorities agree that the Querechos were Apache and Navajo Indians. The Apache were newcomers to Texas, having arrived on the Llano Estacado perhaps less than 100 years before the Spanish visited them there. A village farming culture in the Texas Panhandle, the Antelope Creek Phase, disappeared about 1450." Teicholz made a huge "error" in her book attributing the diet of a singular tribe/region of Native Americans to several tribes in the Southwest who were rather known for consuming a high carb diet supplemented with fish, clams and game. But even the buffalo eating tribe she mentioned was also known for consuming lots of potatoes that grew wild in the region. This woman adopted a keto diet back when Jimmy did it and posted several updates. She was eating like 1200 cal/day and closer to 1000 some days consuming mostly chicken, duck fat and a few slices of zucchini a day. She had tons of mental clarity and "energy" though -- oddly -- she didn't have much in the tank for your usual runs. She was with it long enough so that later updates were of the monthly variety or even longer periods. This all seems to have been deleted. One of the recommendations is to use sugar alcohols as mild laxatives. If your diet constipates you, it is probably not optimal. Change the diet unless there's a REAL therapeutic reason for it. Yeah -- "ethical"? Perhaps not doing anything would have been unethical. Still, they consider the NECP guidelines to be somewhat of a control. 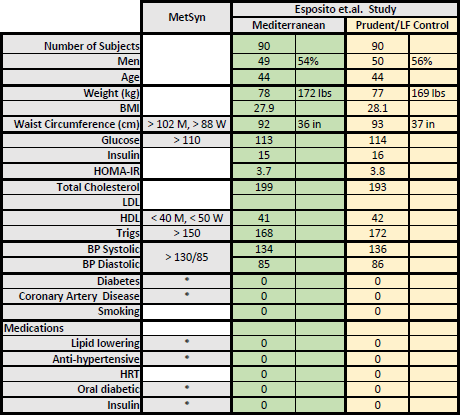 Without calorie targets, however, it seems unreasonable for the NECP folks to meet a target for fat percentage. I had a friend who lost a ton of weight by shooting for 30g of fat per day which the low carbers would balk at but would be about right for a Pima Indian or a Thai from the 60's & 70's. I don't recall her starving herself either. We keep hearing that you won't absorb your fat soluble vitamins without drenching your veggies in butter. That doesn't even make much sense, but I have a study around here somewhere showing the amount of fat needed to maximize absorption is quite low, around 5 grams , not 50! The brain health benefits are highly questionable at this point. Kitty is cracking me up :-) Calories eaten while laughing don't count, right? After the arrival of European diseases in 1492 and prior to the arrival of English settlers in 1603, The indigenous population died off at a rapid rate with some anthropologists estimating the loss of life at as high as 95%. This led to profound cultural changes and 17th and 18th century practices are hardly representative of pre-columbian culture. I'm assuming that you agree that any real evolutionary adaptation requires more than 200 years. Your beliefs about plains Indian life are derived more from the Hekawis than any real anthropologic source. My reading list is getting way too long, but this looks like a good one. Checking out the author, Charles C. Mann, gives confidence that his research and writing style will be very worth while. "And yet you continue to talk to us as if we've never heard of these studies, never heard of these concepts. As if we have no clue about low-carb dogma. As if we've never been in the low-carb lifestyle." LOL. Yep, I'd bet 90% of those here are well versed in all aspects of diet, low carb or otherwise. I thought you might be too harsh that FS was a troll, but maybe not. Although, he seems sincere, the result is the same, whether he trolls or not. Your final sentence above is right on. So probably was your initial judgment. You omitted ... "Allinson says he doesn't know why Baltimore's rats have grown so large ( he doesn't know for sure they have gotten fatter, as opposed to bigger overall since his study only looked at weight.) It could be the well documented increase in food garbage,the selective killing of small rats by predators such as cats, changes in light exposure, improvements in rat health (perhaps facilitated by changes in the food supply), or some environmental toxin that is disrupting the rat's hormonal systems. Increasing temperatures might be another cause of rodent corpulence. A rat that spends less time shivering in the cold expends less energy"
Quoted verbatim, so heavier but not it seems with any certainty fatter. I'm aware indians in the east and southwest had begun cultivating crops starting 500 -1000 years prior to Europeans arriving - but the plains Indians continued living a nomadic life based on Bison till the mid-1800s. I have read 1491 - I was an anthropology minor in college and focused on pre-Columbian native american's (I am 1/4 native american) - I actually wrote my capstone on their effigy mounds in Wisconsin (been many times). We hunted the bison to extinction to ruin the warlike plains indians ability to survive - most ended up in Canada or in reservations by the end of the 1800's. More excuses why the facts don't fit your theories - it never ends. You people are ridiculous with trying to fit facts to your theory - the indians of the plains survived by looking for wild potatoes - really?Nevermind the 2000 pound bison they moved with - lets scrounge for potatoes! maybe you can camp in the S. Dakota and let me know how many wild potatoes you find. Texas isn't what I'm talking about - that's in the southwest - Plains Indians (the nomadic kind that moved with the buffalo - not the potato lol) were in the Northern midwest for 1000's of years - yes the Apache eventually conquered down into the southwest but that is erroneous to the topic at hand - a red-herrring. ^"Certainly if you weigh too much the only good way to shed the pounds is to improve your diet and be more active. But it’s possible that the true story of fat might be more complicated, and not just a function of lifestyle. Look to the animals." I have. My minor is anthropology (focus on native american's in the midwest). The plains indians had many tribes and many dietary customs but in the north - meat was king and the bison was akin to a religion for them (my point is groups that eat like me did exist). I guess we'll have to disagree and just say the proof is in the pudding (I'm skinny and you're still fat) - I recently learned how overweight you are by doing research - kind of ironic you criticize people who've lost so much. I did have a good laugh at your expense (sorry). Well, bless your heart! You minored in anthropology and wrote a senior thesis -- recently, I suspect. I understand now why you said, "I could educate you guys all day!" Nobody is denying that Northern winters and lesser ice ages made winter survival a dicey proposition. Some of those remote ancestors went into ketosis due to starvation and still survived. However, carbohydrates in various forms were universally stored for winter in both hemispheres. Look at Charles' references to plains indian life. Nowhere can it be shown that any population lived chronically in ketosis. Additionally, it is quite clear that agriculture in the Americas appeared long ago with the domestication of corn (2500 years), potatoes (10000-12000 years) and other crops although having developed independently, it never resembled the agricultural practices of the Old World. You are inventing a fantasy ancient world to justify your dietary beliefs. Grok, however, is really just a first cousin of Fred Flintstone. Can I please get your real full name? I'm happy to have you contribute further if you care to do so. The email is carbsane at gmail.com. The Nutty K group over on LCF ARE interested in weight loss, but some of the more naive (and newer) ones are wondering why they're not losing--even though they check their blood to be sure to be in ketosis [ugh!--my great fear was that I would develop diabetes and have to do that; I can't imagine willingly doing it otherwise]. So they're being advised (by the 'experienced NKers) to 'track.' But since they don't believe in calories, they are telling them to weigh and measure their macros--fat, protein, carbs. There is no logic here. If the person is in ketosis, what difference do the macros make? It's the AMOUNT of food that's causing the problem, but thanks to their leader Jimmy Moore, they believe it's hormones or some such stuff that's responsible. Can't be all that FAT they're stuffing into themselves, can it? I would feel sorry for them, if they were not so ridiculously moronic. Confession--I eat very low carb because I'm extremely carb sensitive, and it's the only way I could lose close to 200 lbs 4 years ago--and maintain that loss ever since. BUT I never checked for ketones--but I DID (and do) watch my calories. That's a lot easier than all their blood letting, IMO. And my system actually produces weight loss. But current 'low carb' ideology (thanks to Jimmy Moore)--calories are irrelevant, ketones are important--and weight loss doesn't happen. Thanks for your "report" -- it's been some time since I've perused any discussion boards, but I am not surprised. As even Tom Naughton "cut to the chase" -- the buzz about NuttyK was for weight loss and Jimmy is fooling nobody that he didn't do it to lose weight. His "it's not a panacea" is a typical mantra from him when he again runs up against his human metabolism but refuses to acknowledge that it is what it is. It is simply not honest to present this as a "first line of attack" when "ordinary" low carb has worked for Jimmy in the past and worked for many many more. I'm not even comfortable with this diet as a tweak absent a therapeutic need, but that is for each to gauge risk for themselves. We simply do not know what the long term ramifications are of a diet like Jimmy's and it is irresponsible to present this as a healthy option -- especially absent weight loss and with seemingly uncontrolled weight regain. This is one of the issues I have with the LC community and their "it's about health" because there is no indication that it is necessarily a healthy way to eat. That's just the reality and it's really how I got into looking into all of the research because I wanted to know if it was especially if weight had not gotten down to normal, etc. They talk about 'health' only because they're not losing weight! I'd guess at least 95% of the posters on LCF came to low carb because of its reputation for FAST weight loss. They are clueless about how weight loss happens and regard low carb as some 'miracle solution' to their problems. At least HALF of these are returnees who regained what little they lost. The other 5% are the neurotic ones who have done every single advertised weight-loss plan in the universe. It's ironic (to me) because the few who admit that they count calories are the only ones who have lost weight--but the board is dominated by the 'veterans' who are still obese and now ascribe to the 'for my health' approach because they refuse to admit that their wonder plan has failed them. "Today's metatheme is: there's simply no scientific or real-world basis for long-term ketogenic dieting. There's not, and this is undeniable, apart from fantasy stuff. This is not exactly the same as saying that a long-term ketogenic diet is bad for you. Rather, it's saying there's just no evolutionary basis for it. Combine that with the established science that a ketogenic metabolism is absolutely a survival adaptation to starvation, and proponents are simply, a-priori, stranded in the position that modeling starvation is, most enthusiastically, 'optimal for everyone' or, most guardedly, 'something you should try' ("See if Starvation Hormonal Cascades Work For You!")." "It's like there are signs everywhere we look - provided we keep an open mind." This isn't totally on topic, but it looks like Teicholz has gotten herself onto the NYT editorial page. I like most of their coverage, but it makes them look clueless and unprofessional when they publish low-carb "experts." Using EasyHits4U you can earn free advertising credits by surfing other ads from a member base of over 1,200,000 accounts. Earn advertising credits faster with a 1:1 exchange ratio.